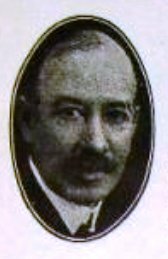 Irwin M. Howe founded Howe News Service in Chicago in 1910, published an annual record book and served as the primary statistician for several minor leagues, including the Western and the Three-I leagues. After the 1911 season American League Secretary Robert McRoy, who was responsible for compiling statistics, left the league office to become an executive with the Boston Red Sox. President Ban Johnson named Howe the league’s statistician; he served in that capacity until his death in 1934. Howe leveraged his position with the American League. He became the official statistician of several more leagues, including the American Association and the Federal League, wrote a nationally syndicated column called “Pennant Winning Plays,” became editor of the annual “Wilson Baseball Record and Rule Book,” and published an instructional pamphlet for kids. The ad from 1914 pictured above is for Howe’s 48-page “Pitching Course,” which he called “A correspondence school for baseball.” The pamphlets sold for one dollar, but were also offered by many small newspapers across the country for free to children who signed up subscribers (the pictured ad is from The Commoner, the Lincoln, Nebraska newspaper published by William Jennings Bryan). These lessons are so plain, practical and so profusely illustrated, that by following the instructions given, you can not only develop pitching ability…You will also learn to Increase Your Batting Average and more effectively Hit Any Pitcher. Every lesson edited by Irwin M. Howe, the official statistician of the American League, the new Federal League and there organizations and an Eminent Authority on Baseball. Perhaps Howe’s most famous contribution to baseball was certifying Ty Cobb as a .400 hitter in 1922. On a rainy day in New York (years later in his book “Baseball as I Have Known It,” Fred Lieb said the game took place in August—contemporary newspaper accounts say it was May 15), Cobb beat out a ground ball hit to Yankee shortstop Everett Scott. 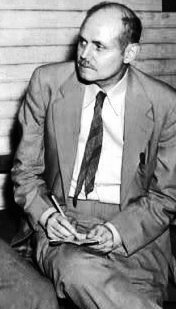 John Kieran of The New York Tribune (he was later a columnist with The New York Times) was the official scorer. He charged Scott with an error. 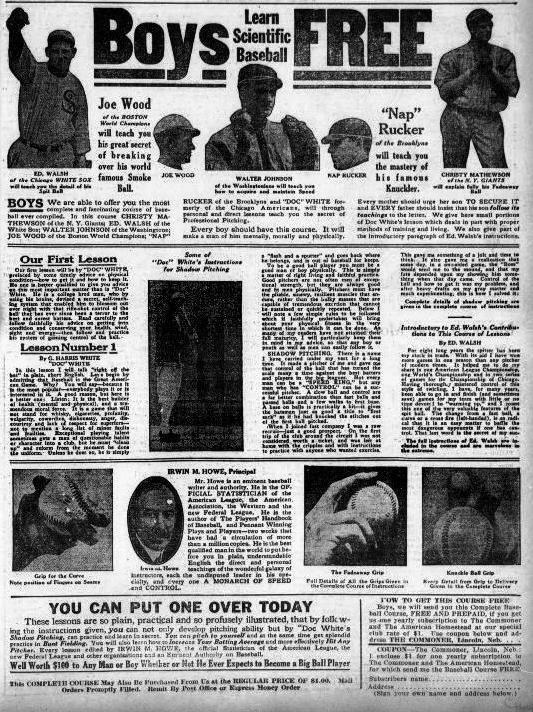 Howe’s habit was to rely upon The AP box score that appeared in the Chicago newspapers while awaiting the arrival of the “official” box score by mail. The 1923 “Wilson Record and Rule Book”–edited by Howe–contained an asterisk next to Cobb’s .401 average and noted that it was “not recognized” by the BBWAA—Howe was secretary of the association’s Chicago chapter. The asterisk eventually disappeared, and Ty Cobb, thanks to Howe’s decision, remains a .400 hitter for the 1922 season.